The government is providing funding for the academic years 2013 to 2014, 2014 to 2015 and 2015 to 2016 to improve provision of physical education (PE) and sport in primary schools. For 2013 to 2014, 2014 to 2015, 2015 to 2016, 2016 to 2017 and 2017 to 2018 we have been allocated £8745 for each year, which is used to fund the opportunities outlined below. From September 2017 this figure has been doubled. It increased to £13,790 in September 2017 then to a figure of £17,490 in April 2018. The amount will then be a figure of £17,490 each April. 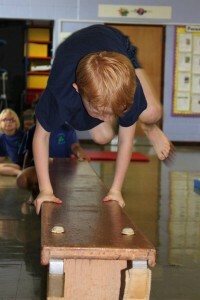 The school has been awarded The Sainsbury’s School Games Gold Mark each year, over the last five years. Contribution towards transport costs to events £2320 To broaden the sporting opportunities and experiences available to pupils. For the 2017 to 2018 academic year, there is a new condition requiring schools to publish how many pupils within their year 6 cohort are meeting the national curriculum requirement to swim competently, confidently and proficiently over a distance of at least 25 metres, use a range of strokes effectively and perform safe self-rescue in different water-based situations. In 2017 – 2018 we had 24 children in our year 6 cohort and 22 of them met the national curriculum required standard.